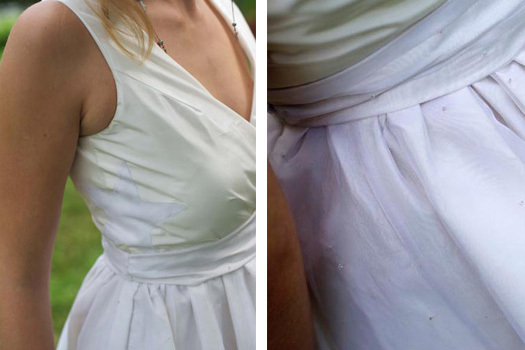 A sweet pixie wedding dress with a knee-length, handkerchief hem. Made from organic silk, Stella has a wrap bodice and handkerchief hem that gives the dress a classic but whimsical flair of pixie! 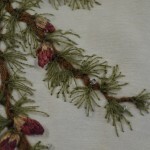 On the left: detail of bodice with star. On the right: detail of sparkling beads on skirt like touches of pixie dust. Whimsical but classic, Stella is a pixie wedding dress with gathers, a matching belt, and a handkerchief hem. There is a star applique on the right of the bodice and the front of the gown wraps into a gather at the waist. The white organic silk organza skirt, dotted with beads, overlays the cream organic silk taffeta skirt and bodice, creating a muted, shimmering two-tone effect. 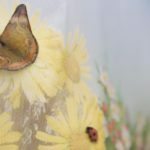 You just found the place for a truly unique Pixie Wedding Dress! 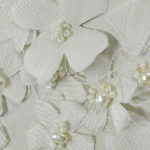 Farfalla is like a fairy wedding dress and is hand-embroidered with flowers and butterflies of the bride’s choice. 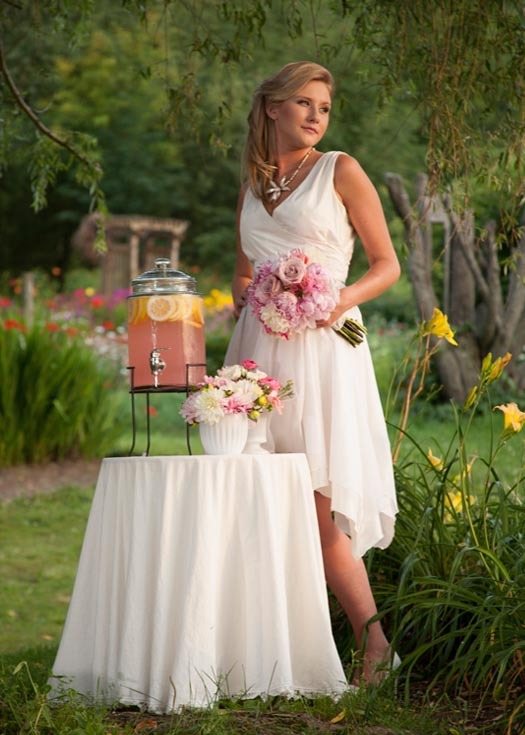 Persephone is an ethereal wedding dress made of hemp silk. It’s perfect for a fairy bride! 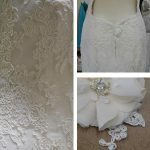 Chiara is a knee-length wedding dress made with vintage lace. It has a fully supportive, strapless bodice and a lace-up back.